PVP reset time is here and we have a groovy new weapon, along with purchasable Treasure Maps, and a couple of freebies for all! Read on! A religious artefact, the Kris Knife is primarily used by the Naga to ritualistically sacrifice their enemies to the Snake God. It’s also great for picking off strong Magic users hidden away at the back of a group of troops! Tanks might be left a little mystified as to what their purpose was as result. New in Rewards: Treasure Maps! Treasure Maps are now available as a Glory Reward! 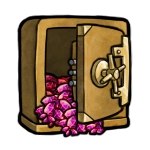 Pick them up in the store and go hunting for vast wealth or vast amounts of copper coins depending on your skill! Two Free Treasure Maps for All! To give everyone a chance to try out Zhul’Kari’s new Treasure Hunting, everyone who logs in during this week’s event will get two free Treasure Maps. They’ll be automagically added to your game by the Zhul’Kari Department of Tourism and Dark Arts. Some of you may have received them a little before the event starting, due to the Dark Arts part of the department. Enjoy! * Rank 15: 0 Souls, and a free massage from the Goblin King! 10 Comments ON " A Knife in the Dark "
So…I had 176 glory…bought a new weapon and only one treasure map. And I have only 11 glory left! I mean, if Kris Knife is 70 glory and a map is 25…I should have 81 glory. And thanks to bug I also didn’t receive a tresaure map rewards. -_- fix game, please. Contact support, they’ll be able to help you recover your missing glory. 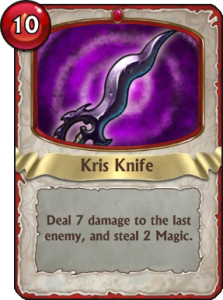 Sounds like you may have clicked the Kris Knife once too many times, and ended up paying 70+70+25 = 165. Which would explain your leftover 11s. GET A BLANK ATM CARD TODAY, BE RICH IN LESS THAN SEVEN DAYS. Order an ATM card now, live a comfortable and luxurious life that you have always wanted. You can swipe with your card at any shop. Make a mind before you submit an application, this is a direct contract!!! Order now: contact us E-mail: williamshackers@hotmail.com ATM Card can be used all over the world.